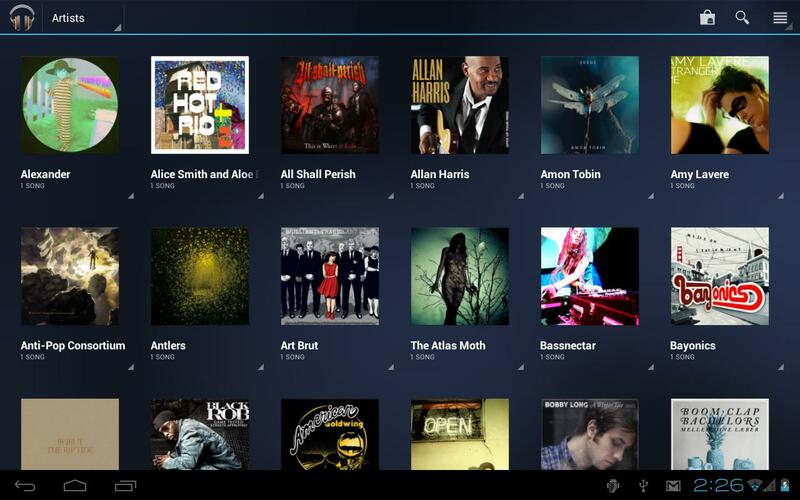 Google Music elevates your music media to the Cloud. It allows you access to all your songs anywhere in the world, purchase music (only when based in US), and download them back to your computer or phone for offline access when needed. The only catch: Google Music would not work in Singapore as you would need to be ‘based’ in US for the initial registration. And location can easily be spoofed. Download and install Hide-My-Ip which comes with a 14 day trial. Choose a US Proxy. Turn on Incognito mode or Privacy mode for your browser. This ensures a clean new connection without any pre-existing cookie or cache. Visit music.google.com or through play.google.com and start using the service. You can try adding a couple of the free playlists and upload a couple of songs through the music manager. The upload feature continues to work even after you deactivate the proxy. And that’s it. Google music activated. The Play Store limits access to the Google Music application if you are not in US but you can download it separately through the XDA Forums.Note: You can probably use other VPN services such as anonymisers or hotspot shield, but the easiest way for me was through SuperFreeVPN and then Hide-My-Ip. Did it worked for you? Let me know through the comments, thanks! I am in the process of moving my music collection on to Google Music.The free online storage locker for music has space for up to 20,000 songs that can be streamed through a browser on any computer or mobile device (including even iOS). With all my devices connected to the net, I don’t see a need for storing them on my hard disk offline and well, for those devices that I need to transfer music to, it shouldn’t be that much of a hassle to download a couple of albums or play lists for offline access. The quality of the music through the browser interface is good and it has a Pandora-esque instant mix function for quickly finding similar songs catered to your taste. It looks like it will take at least another two more weeks before I finish uploading all my songs, but the cloud does indeed seem the way to go. Jailbreaking lifts the limitations set by Apple and allows developers to expand the features on your iOS device (iPod / iPhone / iPad. More importantly, jailbreak is not illegal in the United States! However, with every iteration of iOS, there’s less reasons to jailbreak and increasingly, it has become harder too. Update your device to iOS 5.1.1 through iTunes. Download Absynthe and extract the app to your desktop. Plug in your device, open Absynthe, quit iTunes (if its not closed automatically), and click the jailbreak button. Be patient. Your device will go into a fake restore session and reboot. When it reboots, DO NOT TOUCH IT OR UNPLUG IT. You will be notified on-screen when Absynthe completes the jailbreak. When it’s done, you can unplug your device from your computer. And, it’s done. It IS really that simple. As of last count, Android’s Market has approximately 250,000+ apps to iOS Appstore of 350,000+. The numbers are steadily increasing and while the total number is not representative of the quality of the apps or the platform, it is a healthy sign indicating that the Android platform has attracted its fair share of developers. Having used Android for some time, I will recommending my favourite apps that I can’t seem to do without. 1) Pulse Reader – Pulse is a popular RSS Feed Reader for the Android Platform. The reason is simple. It is breathtakingly beautiful. It presents the newsfeed in a colourful interactive mosaic that maximises the use of the touch screen, i.e. both horizontal and vertical scrolling. While it may sound complex at first, the navigation is intuitive. It is easy to browse through the articles and a clean and elegant in-depth view is readily available at a click. 2) imo.IM – my current Instant Messenger of choice is the imo.IM beta. It provides a clean interface, tabbed chats, supports different IM protocols (Facebook Chat, Google Talk, MSN, Skype and more). Also, it allows multiple logins for MSN which doesn’t seem to work with the other clients, like Meebo, Palringo etc. The simplicity is one of its biggest attractions. It doesn’t try to add in too many extra features, bloating the memory footprint. It just does exactly what it needs to, and it does it well. 3) MoboPlayer – By far, the best video player on Android! It supports a large range of video format, from the standard AVI, MP4, MKV and even the more obscure RMVB format. It has subtitles support and has a clean library interface with auto-thumbnail generation. It does not add any watermark to the video, providing a sleek interface and none of the other competitors in the video playback category comes close. It’s a must have software for my nook color. 4) ³ (cubed) – The default Android music player is just average, and is strikingly lacklustre if you were to compare it to Apple’s alternative. If you are a frequent music listener, there are much better options out there, and for me, that option is ³. Your album list is displayed as a cube that, when you swipe up and down, spins around, scrolling through your albums. You can also swipe left and right to scroll through the alphabet instead of through your albums (which makes the process a bit faster). It has album-art fetching, and a last.fm plugin. 5) Adilko – I was looking for the Nook application when I stumbled upon Adilko and that stopped my search for an eBook reader. It supports a variety of formats and notably ePub, the industry standard format for digital publications and incorporates facilities for browsing online catalogs on thousands of books (including thousands of free public domain work) and downloading them directly into your personal library. The application features a day / night reading mode and the standard tweaks to borders / font sizes and also features a bookshelf-like user interface that allows for easy browsing and navigation of the books. Hello! Welcome to GadgetReactor. We are a technology blog in Singapore and you read more about us here. As the iPad 2 starts making its launch around the world, an unknown little tablet has grown in popularity and started creating its own waves in the budget tablet department. The Barnes and Noble Nook Color is a 7 inch e-reader, developed based on Android. It has a brilliant display, 16 million colors on a top of the line IPS display, with a resolution of 1024 x 600. It is remarkably similar to the specs of the Samsung Galaxy Tab, differing in the availability of the 3G connection, GPS, camera, and an inbuilt microphone. The caveat is that a stock Nook Color from B&N has majority of the android functions disabled as it is primarily an e-reader, but it can easily be hacked to unleash the full potential. Oh, I also forget to mention, the Galaxy Tab retails at approximately S$988 while the Nook Color can be purchased for US$249 or approximately S$345 with shipping included. The Nook has a nice charcoal colored case, that has adequate heft and provides a sturdy feel to the tablet. Even though it’s constructed of plastic, it doesn’t feel cheap. The back of the Nook is made of a soft rubbery material, which gives it some extra grip. The bottom corner is open like a loop, though it is more of a design feature than being useful for anything. While using it as an e-reader is all fine and dandy, the real fun comes in when you hack the Nook for the full functionality it can offer. First up, there are multiple options available for the Nook in terms of the Android Operating System, ranging from Eclair (2.1), Froyo (2.2), Gingerbread (2.3) and Honeycomb (3.0). I have tried Eclair, Gingerbread and Honeycomb and am now predominantly on Gingerbread. It offers the nice compromise between stability (Eclair) and cutting edge development (Honeycomb). In Gingerbread, the interface has been tweaked and it runs a little snappier. Flash 10.1 is available and majority of the apps in the Android market are available. The current disadvantage is that Graphics Acceleration is still not available on Gingerbread. In comparison, the basic Eclair (version the Nook was developed on) has the full functionality. I am currently running Cyanogen Mod 7, based on Gingerbread 2.3.3 which receives tonnes of developer attention and majority of the new developments for the Nook will be seen here. As we speak, basic hardware acceleration for CM7 is has been achieved and though slow, it is a promising sign that we will see full functionality very soon. Honeycomb is also seeing some promising development, with full 2D hardware acceleration in all applications. Exciting times are just round the corner. There are multiple ways to use a customised ROM on your Nook Color. The easiest method would be to copy the ROM image to your micro SD card and boot your nook with the mSD card loaded. It is as simple as that. A decent image writer will be the win32 image writer (https://launchpad.net/win32-image-writer). SD images for NC can easily be obtained from XDA Sub-Forums : Barnes & Noble Nook Color. Currently, CM7 (Gingerbread 2.3), Honeycomb (3.0) and Nookie Froyo (2.2) have an SmD boot image for you to experiment the various features and trial the roms before you commit to your preferred version. The disadvantage is that this a rom running off mSD is slow and is not optimised, often resulting in laggy performance. The next method involves flashing the eMMC, which is the Nook embedded storage. Put rom zip file (don’t need to extract) at root of mSD. Put the mSD into your NC. Turn it on. You should see a screen with a lot of options in text. To select use the home (n) button. To go back/up one menu use the power button. To scroll use the volume up and down buttons. Navigate to Mount and Storage. format all of the following: data, system,and cache. Each require you to separately navigate down to YES to wipe. Go back to Main Menu. Select ‘mounts and storage’ and press ‘unmount sdcard’. Take out mSD. Go back to main menu again and press ‘reboot into system’. Your device will now reboot with the new ROM boot up. Update (May 2012): The Nook Color has been replaced by the Nook Tablet, which offers a better processor, more ram, and larger storage. However, android development on the Nook Color is still very much active, and despite the lower-end specs, it is still quite usable in today’s context. CM7 has full features activated on the Nook Color, with full hardware acceleration, bluetooth, video playback activated. With the launch of Ice Cream Sandwich, developers are actively trying to bring a stable version to the Nook Color. The XDA Developer Forums are very active and do visit there for the latest details on how to bring the CM9 and ICS 4 experience on to the Nook Color.